Disney Frozen Sleeping Bag Sleepover Set Just $28.95 Shipped (Reg. $89.99)! You are here: Home / Great Deals / Amazon Deals / Disney Frozen Sleeping Bag Sleepover Set Just $28.95 Shipped (Reg. $89.99)! Do you have a Frozen fan in your life? 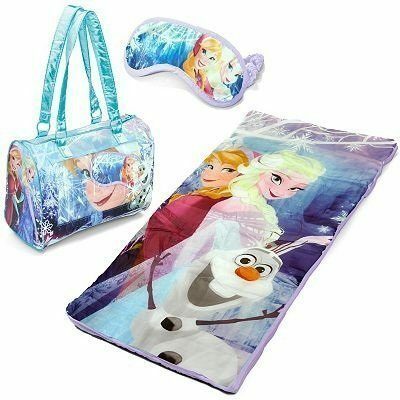 If so, Amazon has this fun Disney Frozen Sleeping Bag Sleepover Set for only $28.94 shipped! These great set would make a wonderful gift idea for any special occasion.